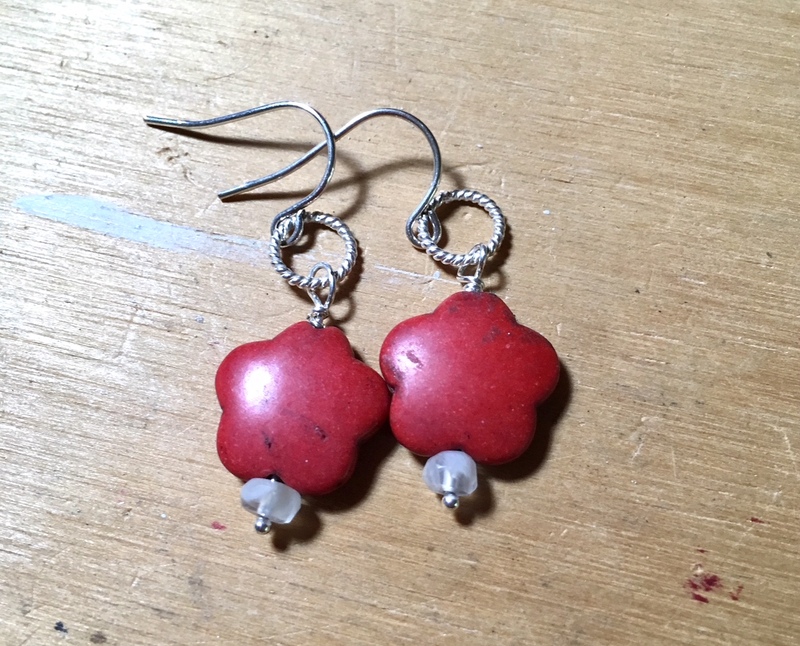 I got a strand of these cute little 15mm dyed howlite flower shaped beads from Fire Mountain Gems. The strand I got was multi colored with orange, white, yellow, green, hot pink and blue. These beads are light weight, and make the cutest earrings! Howlite is the stone that helps to aid in self awareness and and improving ones emotional well being. It just seem perfect to add a faceted moonstone heishi cut beads to accent the design and for the metaphysical properties of encouraging hopes and dreams. Can't wait to show you my next creation! Thanks for stopping by, be blessed and always remember to find time to create! All of my jewelry creations are based on the metaphysical properties of the stones or the colors that are incorporated. Jewelry should be a window to our soul, a protector of our emotions and a companion to our spirit. All of my other creations come directly from my heart in hopes they touch yours as well. Celebrate yourself with healing jewelry, and other gift ideas made with love!